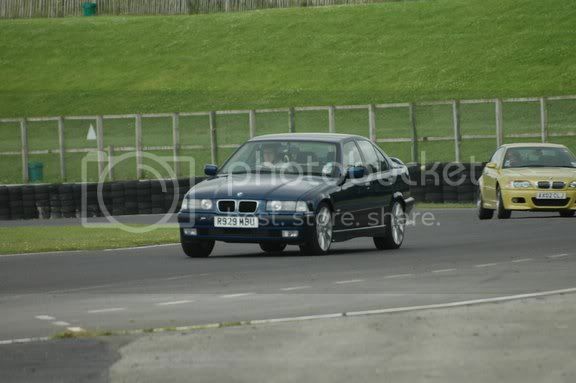 I have an e36 318is 4dr saloon. However someone opined at a local bmw dealer that it's a very rare car and may even be unique as they've only been built as 2dr coupes. What I do know that this one is a Jersey import and has had a trim change from cloth to leather. After emailing bmw uk they found out that this was originally manufactured to be sold in Singapore but other than that they have no further information. Q1. How rare is it? Is there no other in the Uk? Q2. If rare / unique shall I get it fixed and Mot'd or just auction it off? 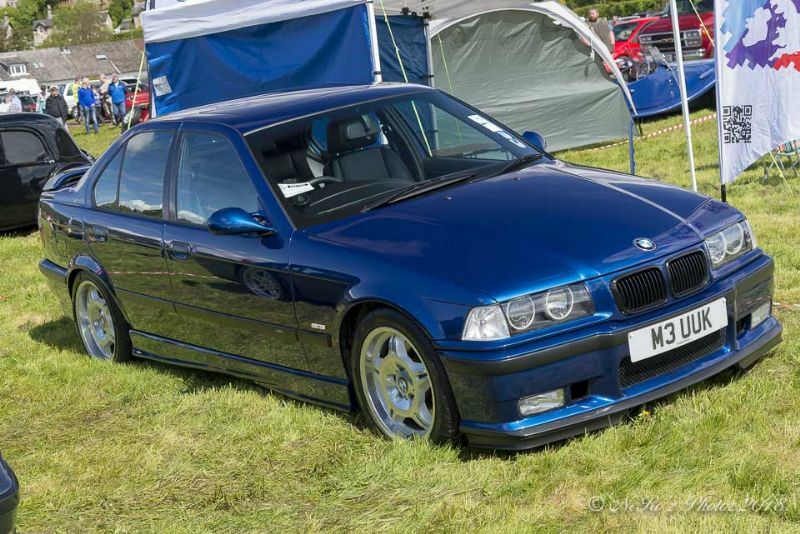 Hi, I have an E36 318is saloon in Avus blue. In January I will have owned the car 11 years and it has covered around 70k miles in that time. The car has been a paragon of reliability, never has it let me down and the only repair required over and above normal servicing etc has been a new exhaust manifold. The 16valve DOHC engine is a brilliant, unburstable,very free reving motor and pulls strongly through the full rev range. My car is not pampered, I drive it very hard and take it on track days. I have done some research on the model as it it quite rare. 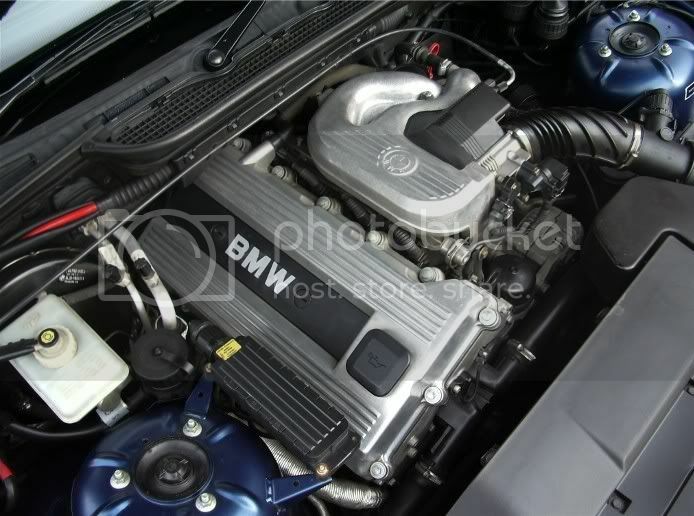 The 318is M44 engine was used in huge numbers in the E36 318is coupe as it is more powerful and sporting than the std 318i engine. The std engine is a 1796cc 8 valve 115bhp engine whereas the 318is engine is 1896cc 16 valve and 140bhp. The std 318i saloon that was built and sold in South Africa did have the 318is engine. Towards the end of the E36 production life the marketing people in the UK decide to offer a sports version of the saloon with the 318is engine and a sports pack. I have had difficulty in finding exact details of where all these car were built and some things are contradictory. The BMW UK in house marketing details say that the cars were to be produced in South Africa. Another thing seems to be that The UK cars were not supposed to be offered with an LSD , due to having ASC & T ( AntiSkid and traction) but I have also been led to believe that the ones for the SA market did. Its all very confusing. I contacted the DVLA statistics dept to find numbers of 318is saloons that have been registered and from their details it seems that just over a 1000 were sold and an additional 57 were imported to the UK which may well have the SA spec which could include an LSD. Personally I think its worth investing a bit of money in it as you will end up with a really nice car. I'll post a couple of pics of mine. Thanks for that. Yours looks so much better than mine. I've had this one for about 6 years now and managed to rack up about 44k miles during that time. I have spent some money on it as things got broken down and got changed etc etc but I should spent some more. Hindsight and all of that. Here's a pic of mine. Cheers for the reply. Very interesting. These were imported from around June 1998 when the E36 saloon lines were switched over to build E46 saloons. Most if not all were built in South Africa. There were two versions, a standard version that looks like any other 318i, and a M Technic version with the M3/Sport bumpers and trim. To add to confusion, many South African/Malaysian built cars were registered as 318i. They all have the 16 inch BBS style wheels. There were a few around but corrosion is a big problem - every one I've seen has been rusty. According to the Vin check this one was manufactured in Munich 1994. It somehow found it's way into Jersey and then was imported into the UK in 2003. There are a couple of rust points around the wheel arches but nothing major. Could it have been corrosion proofed for the European climate? I've decided to get it through its Mot plus a couple of extra things to get done. However I've also decided to sell it off. I'll most likely post an advert within the Bmw car club first but failing that I'll auction it. Keep the replies coming though as it has been interesting to hear about the history of the model. If it's 1994, it'll be the 1.8 litre M42 engine. Sadly it's not the Class 2 version with the M3 saloon bumpers etc. I've attached a close-up photo of the front. 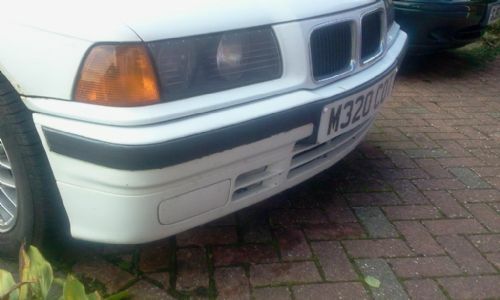 You'll be able to confirm yourself if the bumper section is M3 saloon or not. Sadly I would'nt know but still interesting. I quite like the idea of a 318is saloon, how bad is the car? These didn't have black headlining as they weren't built as an M derivative. Can be seen in the first picture with the sun reflection of the A pillar trim as this would have been black as well. E36 home of South Wales! I bought an Avus blue saloon last March and rate it very highly as a real blend of fun and cheap running costs. I do mainly short trips and still manage 350+ to the tank. The parts are cheap and apart from the right colour body panels, available. Mine was standard looking like the white one except for the BBS wheels. I've managed to return it to standard removing bling and Lexus lights. I managed to locate a correct colour M bumper this week and other than that have done all the brakes, bushes and steering components. I also spent a day undersealing it, and apart from a couple of blisters, it's pretty clean. I aim to go to the Evo triangle this year, all being well. And to answer your questions, it's a very rare car, and as long as the bodywork and floor is sound, it'll be a cheap faithful servant worth repairing. 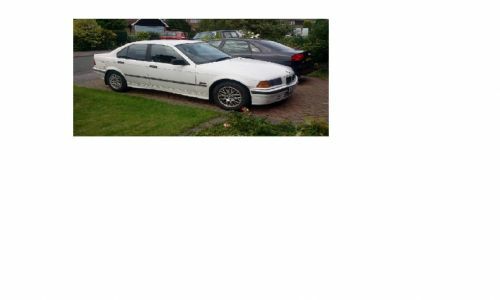 Sorry, I had to make sure this worked, I wrote a long speel about my E36 318is saloon in metallic grey and I drag and dropped some photos but it didn't work and deleated everything. Let me try a couple of photos again..
How do I attach photos please? You can't just drag and drop a photo into your post, it needs to be uploaded first.